What Makes These New Tech Glasses so Helpful for the Blind #WearableWednesday #wearabletech #accessibility #AI « Adafruit Industries – Makers, hackers, artists, designers and engineers! I remember the first time I saw Google Glass I thought of the possibilities for blind and low vision people. Having a camera mounted near the head made sense, even if it was a bit too obvious. Well, glasses have evolved and Aira is working on new smart glasses that will have a center mounted camera as well as other benefits for the blind, according to TechCrunch. 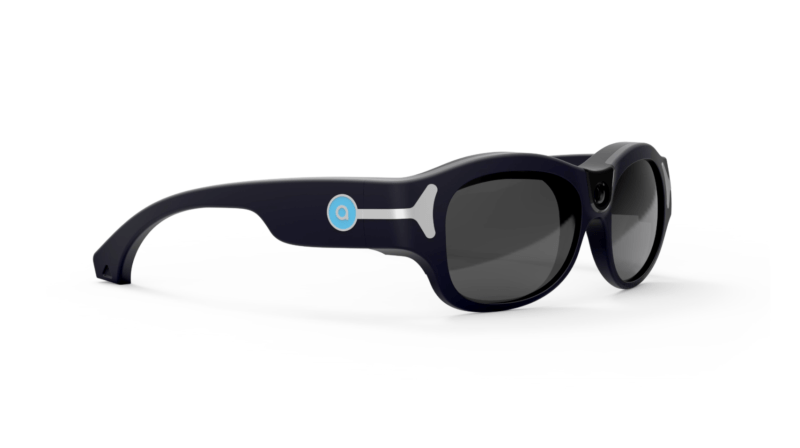 Aira has already been providing a service where their glasses connect with a live agent with access to the camera’s live-stream. So, users are able to receive directions to locations or other help dealing with their environment. The new glasses, Horizon, look unobtrusive, but they will provide a 120-degree angle of surroundings so agents can give more detail. Even better, the glasses will also have an AI assistant that can make calls to the agent and even read labels of prescription bottles. So, users can decide for themselves how much help they need. Aira has a variety of plans based on minutes, and set-up just requires a mobile app and a training session with an agent. The new glasses should be ready for rollout in June, just in time for summer vacation. It’s great to see a product that is practical for so many situations whether it be work, travel or fun.